It seems crazy that it has been over a decade since I graduated high school. Seriously... Where does time go? I ask myself that a lot when I'm trying to draw inspiration on gift ideas for my nieces. Today is so wrapped around our kids these days that it's hard to know what they like (I had 1 game on my phone then ..snake. Lol). So what to do? 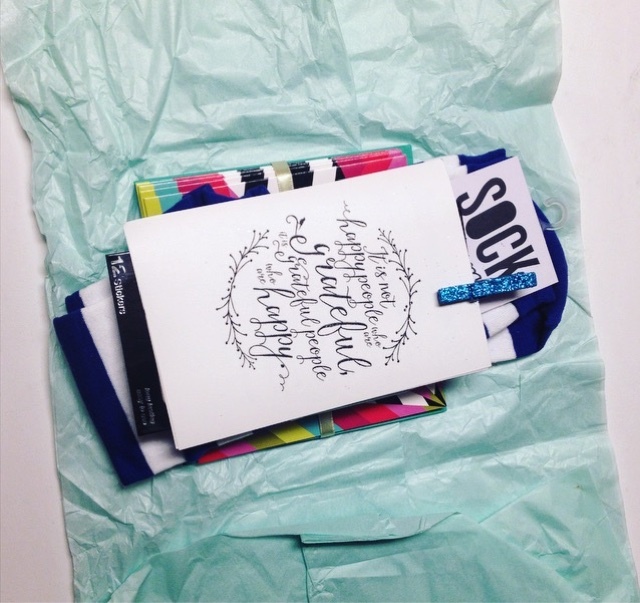 Turn to subscriptions like Style Your Life Sprinkles. 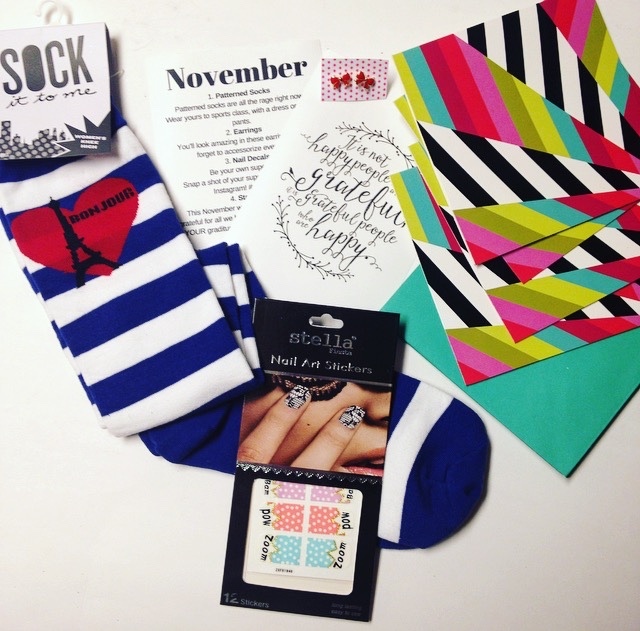 Style Your Life, who kindly sent me this box for review, is a monthly style subscription service for tween & teen girls. The cost is $25.00 per month and includes stylish, full size products ranging from unique jewelry and accessories to beauty items. 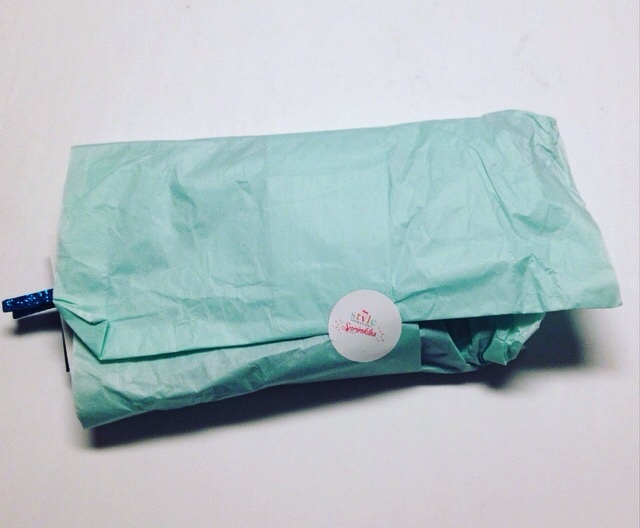 Want 25% percent off your first box? Use coupon code local at checkout! The Included information card gives you all the details on the items you received in your box. 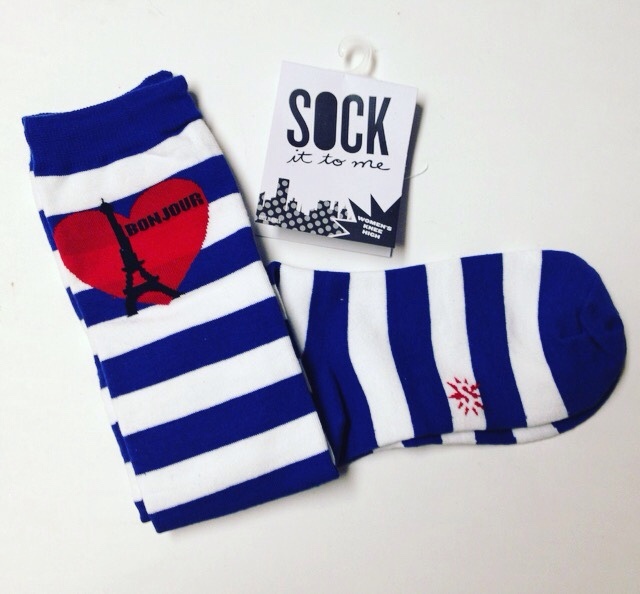 Sock It To Me Patterned Socks --- How cute are these? I love the design and the color scheme. Perfect knee high socks to go with boot season. The quality of the fabric is great to (they sell for $12 on Amazon, btw) so no worries about them ripping after one wear! 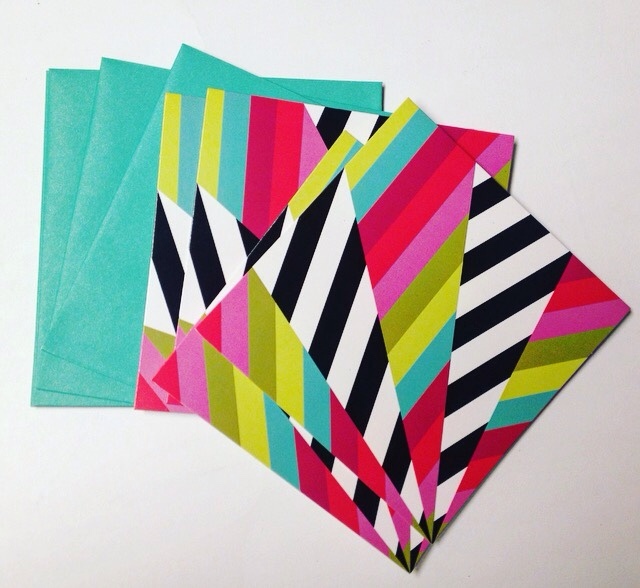 Colorful Stationary --- Stationary is something I've always really loved and the colors used on these are really pretty and fun. 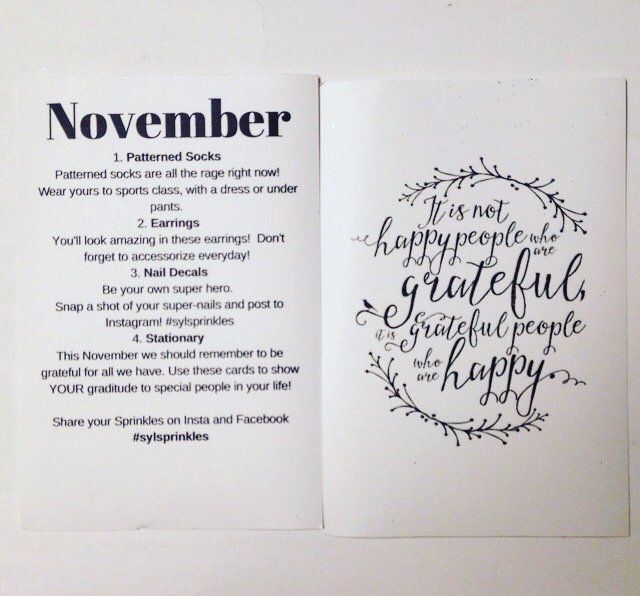 Style Your Life suggests that, since it's coming up on thanksgiving, you should use these cards to show gratitude to the special people in your life. A great lesson for teens and Tweens! 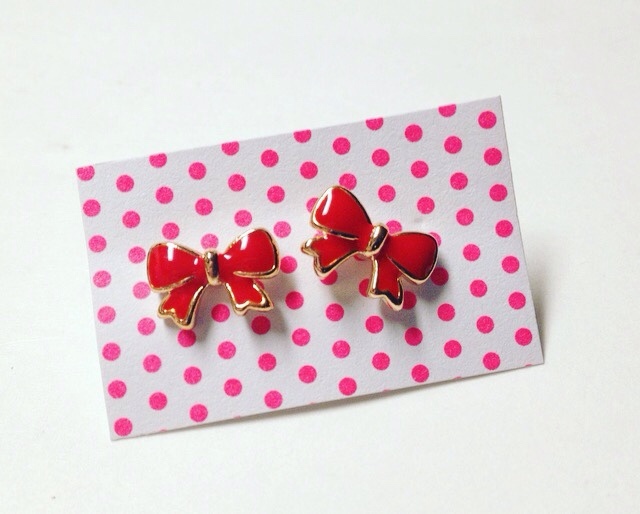 Red Bow Earrings --- I know it's November, but I'm already planning on wearing these at Christmas time! They are simple, cute and very appropriate for the teen/tween age.... And any other age really! 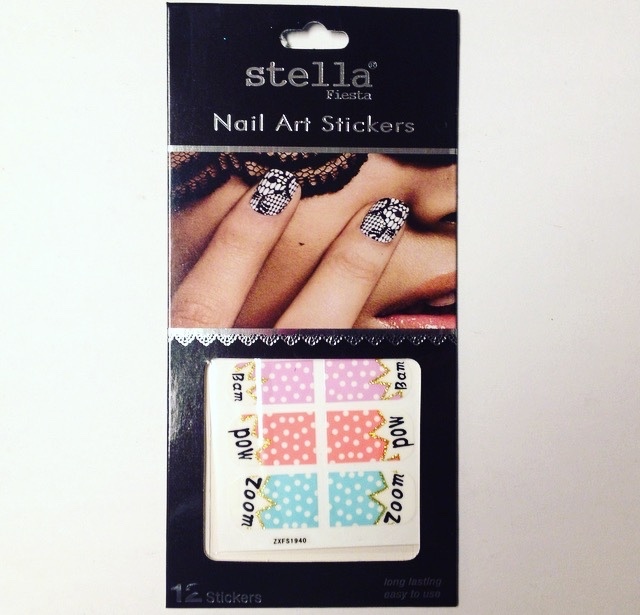 Stella Fiesta Nail Wraps --- I loooove these! They applied really well and adhered securely. And the design is so fun. Very comic book & superhero inspired! I really enjoyed this box! It's full of youthful and fun accessories that any teenage girl would go crazy for. I'll definitely be keeping it in mind when I start my holiday shopping and so should you! Thoughts on Style Your Life Sprinkles Box? Share with us!! Disclosure: While this box was received complimentary in exchange for a review, it is honest and unbiased. All views and opinions expressed are solely my own and should be viewed as such.